THE Reserve Bank of Zimbabwe (RBZ) says it continues to engage banks over the cost of borrowing, as directed by Government, but contends that at current prevailing range of 6 and 12 percent; lending rates have dropped to levels comparable to the rest of the world. 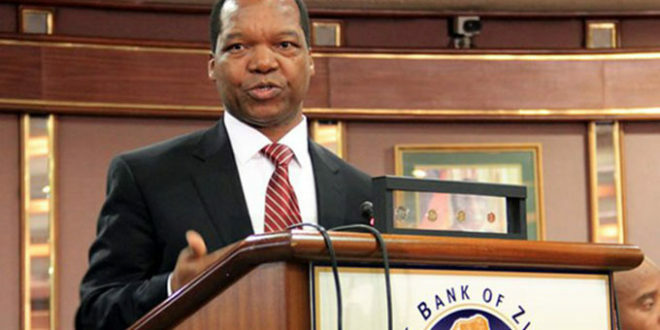 Central bank governor Dr John Mangudya told The Herald Business in a recent interview that the range of 6-12 percent, depending on the customer’s risk profile, was now reasonable and comparable to the region/world. Dr Mangudya stressed that those borrowers that continue to wail over the high cost of borrowing, were the ones that had not repaid previous loans. “The rates of interest (borrowing) are between 6 and 12 percent, depending on the risk profile of each customer and that range is reasonable and quite comparable to the rest of the region and world” he said. Faced with threats of instability arising from non-performing loans (NPLs), the RBZ in 2014 formed a special purpose vehicle to hive off bad loans from banks accrued by firms that had potential for viability once recapitalised. The SPV, Zamco, has since assumed over $1billion NPLs. Dr Mangudya’s recent comments come after Vice President Constantino Chiwenga told delegates at a business conference held during the 59th edition of the Zimbabwe International Trade Fair (ZITF) in Bulawayo last month that the RBZ was engaging banks over the cost of borrowing. The VP said this while stressing the point on the cocktail of measures Government is working on to improve the ease of doing business to make Zimbabwean products competitive, regionally and globally, including through legal and policy reforms that bear on business and investment. He pointed out that at the moment, the apex bank was happy with the level of interest rates obtaining in the market, which have come down from as high as 18 percent; a ceiling set by the central bank. In 2015 the RBZ reached an agreement with banks to cap interest rates at 18 percent, as part of measures to deal with the prohibitive cost of finance. This partly brought relief to the borrowing public and corporates who have had to endure high interest rates, which asphyxiated business and inflated already unsustainable debt levels, causing viability problems. Prior to the intervention by RBZ, local banks were charging interest rates as high as 35 percent per annum, excluding default rates of equal or higher threshold. However, the central bank said there was scope to whittle down the rates. Banks were, therefore, directed to cap interest rates at 18 percent for both existing and new borrowers, with effect from October 1, 2015, the central bank said. Despite the fact that banks were lending to the productive sectors at outrageously high interest, the bulk of the loans were short to medium term, making it difficult for firms to borrow for long term and recovery. Most financial institution cited the short term nature (transitory) of local deposits for their incapacity to structure longer term financing for borrowers. When RBZ first capped the rates at 18 percent per annum, prime borrowers with low credit risk were to be charged 6 percent to10 percent per annum, borrowers with moderate risk 10 percent to 12 percent; borrowers with high credit risk 12 percent to18 percent per annum. Housing finance loans attracted annual interest rates between 8 percent and 16 percent, while loans for consumptive purposes were quoted at 10 to 18 percent. Defaulters were charged penalty rates from 3 percent to 8 percent over and above the interest rate they would have been charged for the loans obtained.